FOR REMEMBERANCE: Fee (sitting third row, seventh left) and Adenan (eighth left) in a photo call with the award recipients. KUCHING: Staff of the Ministry of Information, Communications and Culture (KPKK) in the state should be proficient in social media skills to be able to disseminate correct information on the government’s vision and mission to ward off attempts to tarnish the government’s image. To achieve that objective, Special Functions Minister Tan Sri Datuk Amar Adenan Satem suggested that, if necessary, staff of the ministry here be given special courses on writing blogs which could become the platform between the government and the people in providing information. “Currently, a lot of blogs had been created to raise various issues and ideas and these will definitely become greater when nearing the coming 13th general election. “As such, members of KPKK should deliver their services to the people and make use of the modern information communication technology to spread true and genuine information on the government’s policies,” he said. He was speaking at KPKK’s ‘Excellent Service Awards 2011’ presentation at the auditorium of RTM Kuching yesterday. He said blogs, Facebook and Twitter were among the popular media used by certain individuals and parties to spread rumours meant to tarnish the government’s image. He also urged members of KPKK to be prepared for the coming general election as it could take place anytime soon. “From my personal view, the general election will not take place this year as so many good things have to be delivered since the budget announcement recently. “The Bantuan Rakyat 1Malaysia (BR1M) will also be delivered very soon,” he said. RTM’s deputy director Fee Lin Chew said a total of 102 officers from various departments and agencies under KPKK who had achieved excellent performance in 2011 were given the Excellent Service Award. “Although the rest did not get any award, it does not mean they did not perform. They had done well and we are confident they will continue to perform to their best,” said Fee. 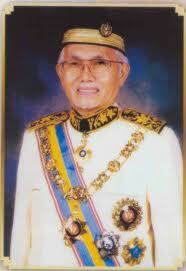 Sarawak received a thumbs up on its financial performance in 2010 from the Auditor General. KUCHING: Sarawak has no outstanding debt owing to the federal government, according to the Auditor General’s Report. Auditor-General Ambrin Buang in giving Sarawak a healthy thumbs up on its financial performance, said there was no outstanding in loan repayment of public debt because the state administration was able to pay its owings to federal government inclusive of interest. And the payments were ‘on schedule’. “The current year surplus was recorded at RM2.60 billion as compared to RM2.22 billion in 2010. The revenue collected for the year recorded an increase of RM1.02 billion, or 18.2 per cent, to RM6.63 billion against RM5.61 billion in 2010,” Ambrin said in his report which was tabled in Parliament yesterday. He however pointed out some key weaknesses which included a delay in the implementation of nearly 40 percent of projects under the Rural Road Projects in Sarawak. He said some of these projects were delayed by as long as 242 days. He said thus far 101 projects had been completed but of this 38 had been delayed by 15 to 242 days. Of the 74 other on-going projects, 13 were currently behind schedule. EXCHANGING VIEWS: Taib (left) and Hamad having a discussion. DOHA: Chief Minister Pehin Sri Abdul Taib Mahmud, who is in Doha, Qatar for the ‘Inside Investor Forum Asia 2012’, was granted an audience with Qatari Prime Minister His Excellency Sheikh Hamad Jassim Jabr Al Thani. A press statement yesterday said the two-day forum which began on Monday was a high-level business event organised by international media group and consultancy Inside Investor bringing together heads of state, investors and top-level company executives from the Association of Southeast Asian Nations (Asean) and the Gulf Cooperation Council (GCC) countries to identify investment opportunities in both regions. It was attended by leading businessmen from GCC countries namely Qatar, Kuwait, United Arab Emirates, Bahrain and Abu Dhabi. Taib gave a keynote speech with the theme of investment opportunities in the Sarawak Corridor of Renewable Energy (SCORE), covering topics such as Sarawak – land of unspoiled beauty, unity in diversity, plenty of opportunities drive economic growth, SCORE development: the dynamo to move forward, investment opportunities in Samalaju Industrial Park, investment opportunities in Tanjung Manis Halal hub and business incentives for investors. The topic of SCORE Development also covered hydropower potential, human capital development – high skills and high income as well as public sector facilities and private sector implements. His Excellency Sheikh Abdul Rahman Khalifa Abdul Azziz Al Thani – Minister of Local Government and Municipalities, who represented the Prime Minister, and Asean secretary-general his Excellency Dr Suin Pitsuwan also gave keynote speeches during the opening ceremony. Taib also had separate meetings with Rushidi Siddiqui, global director Islamic Finance OIC; a delegation led by His Excellency Sheik Hamad Faisal Thani Al Thani from the Qatari businessmen’s association and Surin. In between, the Chief Minister also gave interviews to Qatar TV and Gulf business and a press conference to the international media based in Dubai. Meanwhile, Second Minister for Resource Planning and Environment Datuk Amar Awang Tengah Ali Hasan was interviewed by Inside Forum Investor Asia 2012 moderator Firoz Abdul Hamid, consultant of Public and Private Sectors and affiliated with the Oxford University London Business School. Other members of the Sarawak delegation were Deputy Chief Minister Datuk Patinggi Tan Sri Alfred Jabu, advisor in the Chief Minister’s Department Tan Sri Rastam Mohd Isa, Assistant Minister for Promotion of Technical Education Datu Len Talif Salleh, Tanjung Manis Member of Parliament Datuk Norah Tun Abdul Rahman, State Planning Unit director Datu Ismawi Ismuni, Ministry of Industrial Development permanent secretary Datu Liaw Soon Eng and Sarawak Energy Berhad chief executive officer Torstein Dale Sjotveit. Some 500 delegates comprising senior-level executives from over 100 companies attended the forum, which saw 46 speakers discuss the latest investment trends, opportunities, partnerships and portfolio diversification strategies. The event was of particular interest to investors, corporations and decision makers from the public and private sector to identify opportunities in the rapidly growing 10-member Asean bloc and the oil-rich Arabian Gulf states. These regions are currently bustling with activity in many sectors, and foreign direct investments have reached new record heights. The expected economic integration of Asean members from 2015 will give the entire region further stimulus that companies and investors can capitalise on. In tandem with Gulf countries, investors can find a broad spectrum of opportunities in Southeast Asia, be it in the sectors of oil and gas, finance, infrastructure, food security, real estate, technology, environmental techniques, skills training, or others. For asset and wealth managers, the increased activity at the regional stock exchanges, especially in Malaysia, and the growing importance of both regions’ capital markets, is another draw. Qatar’s economic diversification and laying the foundation for a knowledge-based economy will create numerous opportunities for local and foreign investors including those from the Asean region, said HE the Minister of Municipal Affairs and Urban Planning Sheikh Abdulrahman bin Khalifa al-Thani.At the opening session of the “Inside Investor Forum Asia 2012” at the St Regis Doha yesterday Sheikh Abdulrahman said interaction between the GCC countries and the Asean, two emerging blocs, was growing with strong commercial and economic ties. He also said the sizeable participation of delegates from the Asean countries in addition to China, India, Pakistan, Bangladesh, Australia, Europe, the US and Latin America showed their interest in the region, particularly Qatar. Sheikh Abdulrahman urged the conference participants to explore the investment opportunities in Qatar. In his remarks, Abdul Taib bin Mahmud, chief minister of Sarawak (Malaysia) said his state’s vibrant economy provided many new opportunities for investors. 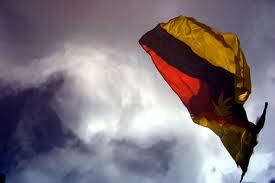 Sarawak has been able to attract and retain several foreign investors and multinational companies. Mahmud also spoke about Sarawak’s initiative on promoting renewable energy. The Sarawak Corridor of Renewable Energy (SCORE) is aimed at improving the earnings of the people to make sure they have good income and be part of a high-income economy that Malaysia is trying to achieve by 2020. In a note the event organisers said the expected economic integration of Asean member countries (from 2015) will give the entire region further stimulus that companies and investors can capitalise on. The average economic growth of Asean-5 (Indonesia, Malaysia, the Philippines, Singapore and Thailand) during the last two decades stood at 5.37% annually. This indicates the momentum of foreign investors attracted to the Asean economy will continue into the near future owing to the region’s sound economic growth and vast economic potential. While the US and Europe are experiencing slow economic growth, Asean has been continuing with its vibrant economic development because of its economic liberalisation, the democratisation process in Myanmar and Cambodia’s admission into the WTO, all of which has contributed to greater economic potential in the region. The Asean countries have ambitious plans to grow to high-income nations in the foreseeable future, supporting the shift of global wealth from the West towards Asia. The GCC countries, which are diversifying their economies away from hydrocarbon resources, have a role to play here. The GCC countries have been intensifying their economic relationship with Asean in the last few years. 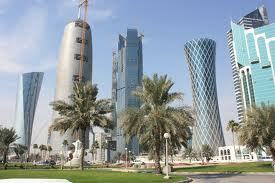 The total trade between Asean and the GCC was valued at $83.25bn in 2010 compared with $67.3bn in the previous year. 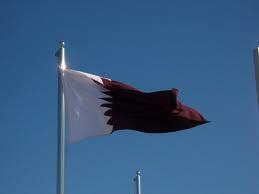 The two-day event is organised by Inside Investor in association with the Qatari Businessmen Association (QBA).